Simply put, pistachio offers such delight! Whether it is color you are in seek of, or gorgeous desserts, may pistachio, which is this spring's color of choice, last long beyond the days of spring and into more intriguing palettes, or just desserts! Delicious! 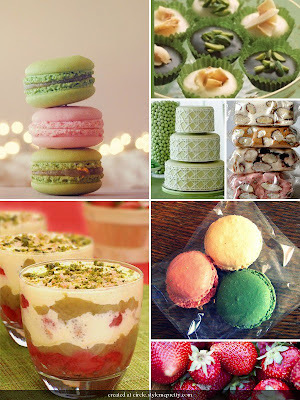 Pistachio makes for such a fantastic addition to food or desserts, both color-wise and with the taste!